Conducting our Catering Coaching Calls for members is one of my favorite activities. Whereas a lot of gurus interview a different expert for their coaching calls, I am a big believer in the power of the mastermind. I love to learn from our members what is working and what is not. Often times it is a solid marketing principle misapplied. With our diversity of members, we also gain insight from the perspective of others. Our Catering Coaching Calls are well worth an investment of an hour or so a month. I can tell by the comments and feedback how valuable they are. Some members are a little newer about selling and marketing catering and need a little more than the nuts and bolts. Part of what coaching provides is anything from a word of encouragement to a kick in the pants. On last month’s call, we had a very new catering sales person who had just started working for one of our Diamond Members. She was frustrated that she wasn’t seeing the “instant” success she had on her first week on the job; one cookie drop resulted in about nine luncheons being booked. Her cookie drops since then, have yet to result in a big sale. What people say and what they mean are totally different. Meredith, our Head of Operations, and I have this conversation at least once a month. When an RCS client calls or emails with a problem, often times it takes digging deeper to figure out what they want. It was the same case with this new catering salesperson. A little probing revealed that her first cookie drop was a result of a former catering client placing a large order. This new and proactive catering salesperson decided to go thank her for the order with a tray of cookies. The client was so impressed with the gesture that a new bond was formed and nine or so events were booked. First and foremost we buy from people we know, like and trust. This new catering salesperson has that working for her. Unfortunately, she was trying to reap the same returns from cookie drops to cold, unknown prospects. Never compare apples to oranges. A cold prospect takes a longer sales cycle. On average it takes seven touch points to make a sale. A new, as well as seasoned, catering salesperson must realize the first goal is to find qualified catering sales prospects. 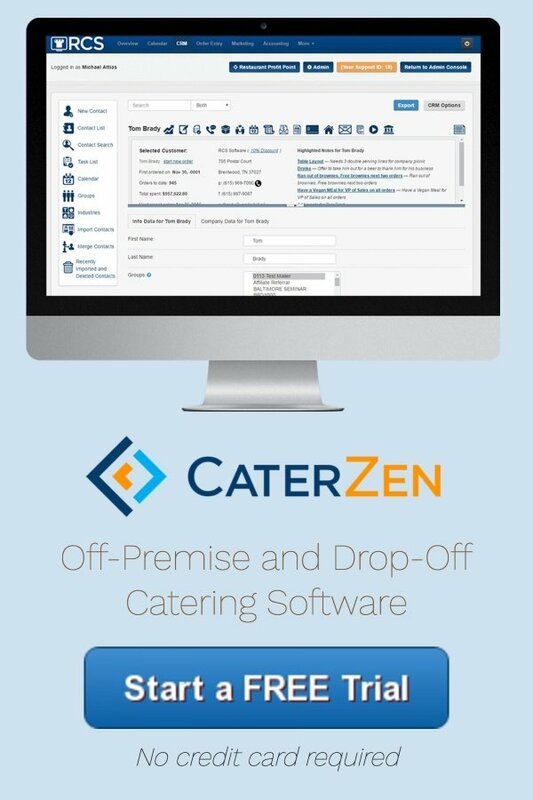 Once found, you must enter them into a database like the CRM included in RestaurantCateringSoftware.com. Monthly follow up is crucial. Email your list once a month and send them a piece of snail mail once a month. It’s the constant dripping of your marketing that’ll build their confidence and put you at the top of their list. It is not a get rich quick plan! Our new catering salesperson was doing fine. She just needed a bit of a reality check and a pep talk. Fact is, she stumbled upon something everyone should be doing. Were I to hire a new catering salesperson, I’d have them spend at least half of their time calling on existing and former catering clients. The easiest sale to make is a repeat sale. Connecting like this is sure to drum up new business. It is also a way for a catering salesperson to get some wins under their belt and boost confidence. This is particularly important with new, inexperienced salespeople. Marketing and selling is not difficult. It is the lack of action with expectation of results that will beat you down. 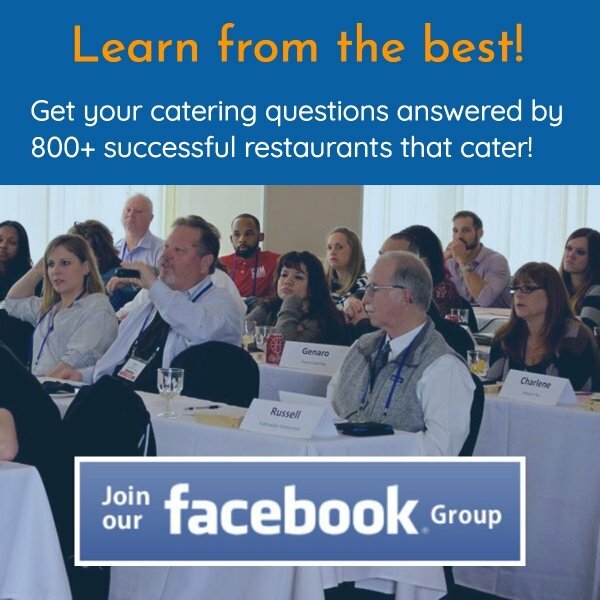 What’s the voice in your head saying about building a super successful catering profit center? Set yourself up for success and believe you will. That’s the psychology of winning! NOTE: As Thanksgiving is this week, I would be remiss if I did not send out a big THANK YOU! Thanks to my team. Thanks to my clients/members. And thanks to everyone who reads this blog. Restaurant Catering Systems would not exist without each and every one of you. Then I would have to go out and get a real job. LOL. As most of you know, I am a great worker, but terrible employee, thus virtually unemployable. Make time this week to take inventory of all you have to be thankful of and let the one’s you love know!